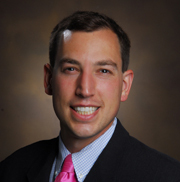 Jesse Ehrenfeld, M.D., MPH, associate professor of Anesthesiology, Surgery and Biomedical Informatics, has been named editor-in-chief of the Journal of Medical Systems, succeeding Ralph Grams, M.D., professor of Pathology and Medical Informatics at the University of Florida College of Medicine. This bimonthly journal has a 36-year track record as a leading journal in the area of health care computing and information systems. It serves as a forum for the presentation and discussion of applications of new systems techniques and methods in hospital, clinic and physician’s office administration; perioperative, pathology, radiology and pharmaceutical delivery systems; medical records storage and retrieval; mobile health technologies; and ancillary patient-support systems. Ehrenfeld divides his time among clinical practice, teaching and research. He also serves as director of the Center for Evidence-Based Anesthesia and as director of the Perioperative Data Systems Research Division. Since receiving his medical degree from the University of Chicago Pritzker School of Medicine, Ehrenfeld has focused on understanding how information technology can improve surgical safety. He has co-authored 11 textbooks and numerous peer-reviewed scientific articles.